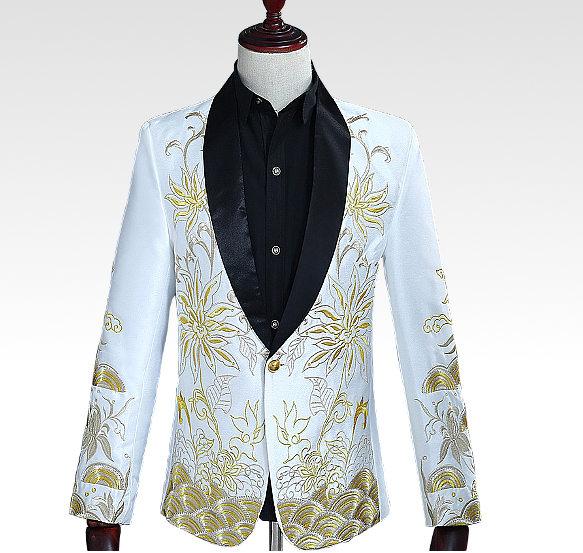 This Embroidered Floral White And Gold Blazer Mens is a classic and artistic pick with embroidery designed on the blazer. It's cut is professional, and the quality of the material is first class. 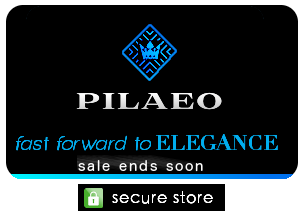 Wear this confidently, and be more fashionable than you've ever imagined! 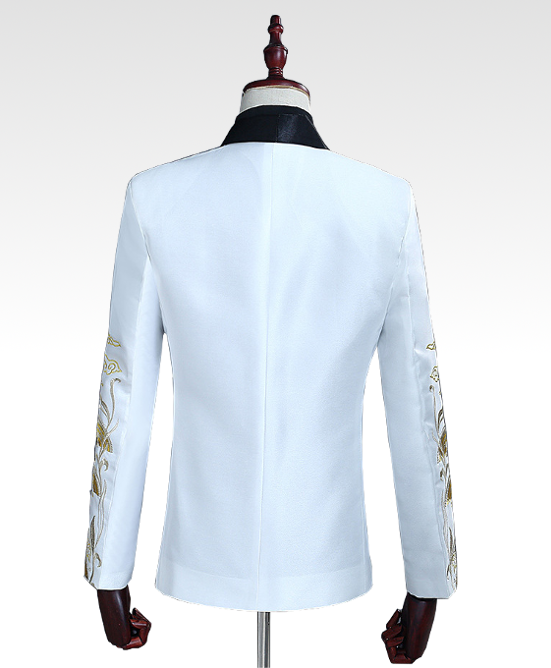 This blazer is available with worldwide shipping.